What’s your favourite colour (of hood)? One of our most popular colours of hoods we supply and fit is burgundy. 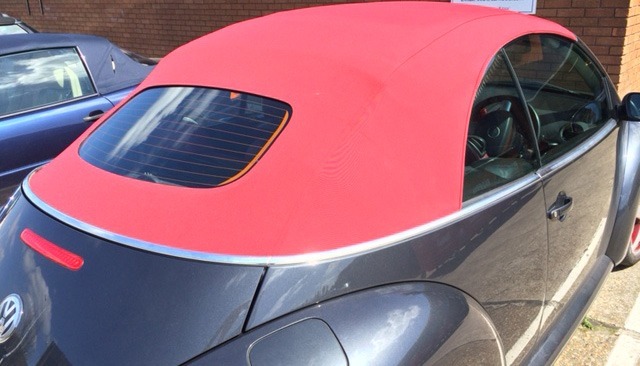 Of course we offer other colours to choose from for your new soft top: blue, black and beige, but by far and away our customer favourite is now burgundy. Take a look at some of these pictures and see how well it goes with a variety of body colours. 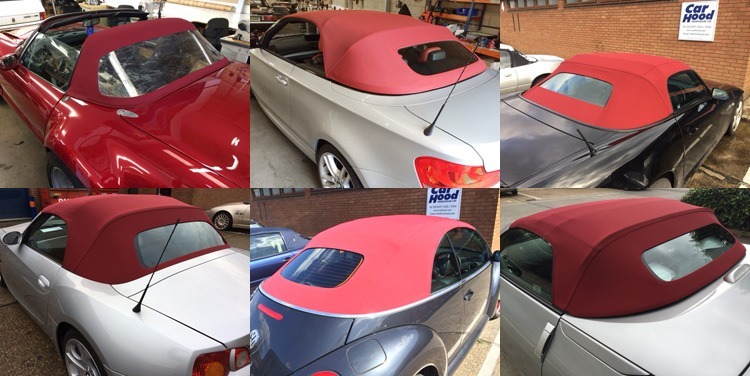 If you would like to know more about the range of convertible car hoods that we offer then please get in touch by calling 020 8391 5324 or 5326. Or you can get in touch here.